From the ancient times, male nurses are serving in the nursing profession. They were considered as the backbone due to their physical strength that’s needed to handle and shifting the patients in emergency or critical conditions, in psychiatry ward or in the outside of the hospitals where female nurses were not available to treat the sick. Then, unfortunately, some circumstances occurred in 16th to late 19th century that declined the numbers of male nurses in the nursing profession and it became a female dominant profession. They were not allowed to get admission in nursing schools and rejected from jobs in hospitals and outside the hospitals. Then in the 20th century, men started to enter again in the nursing but the numbers were very low.Now we are talking about the Importance of Male Nurses in Female-Dominated Profession. In the United Kingdom, the percentage of male nurses was 10.63% in 2004 that increased a bit in 2008 that was 10.69%, similarly, in the United States, the percentage of males was 6.6% till 2008. According to the U.S. Census Bureau, the percentage of male nurses has increased in the last forty years. In 1970 this percentage was 2.9 percent that has been increased to 9.6%. Today in UK and USA, the male workforce in the nursing is ten percent collectively. Likewise in Pakistan gender inequality is present in this professions as no government job structure, limited seats for males in nursing schools and discrimination from the female colleagues are very common facts which male nurses are facing today. Substantially males related to the nursing profession should have equal rights, honor, and impartiality regardless of the gender-prejudice that would be helpful for the betterment of the nursing profession. The Importance of Male Nurses in Female-Dominated Profession has been discussed below. In the interests of their importance government should take absolute steps to recruit the males for all designations related to the nursing profession. 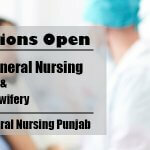 Nursing Shortage: Nursing shortage is a very major problem in Pakistan. Nurses are the heart of the hospital. Being healthcare providers they deliver care to the sick from all aspects. The ongoing global nursing shortage is very dangerous not only for the care of individuals but also for the whole population. So government should generate jobs for males to overcome this shortage at a national level. Gender- Equality: Males or females both have equal rights to enter the profession. Gender equality is very important in all professions. When the gender equality is compromised in a society it may lead to begin a social disturbance and has a negative impact on the permanent basis. So government should hire males that’ll help to maintain the gender balance in the profession which is good as it shows gender diversity in the profession. Necessity: Males are necessary for the nursing, because of the patient’s comfort. It can be seen that many of the male clients ask for male staff because they feel uncomfortable and do not agree to carry out some specific procedures from the female staff. On the other hand female nurses also hesitate to follow up these procedures due to the gender differences. While it is the key element in the health industry to provide comfort to the patient, so government should realize the necessity of male nurses in the work field to lessen the embracement and discomfort of the patients and female nurses as well. Malpractice: Male nurses are not available in the government hospitals to provide care to the sick, malpractice can be seen. In such cases when male patients refuse to the female attendant or when females nurses are not willing and withhold these procedures are then carried out by the porters or ward boys who are not certified for the implementation of those procedures and due to their lack of knowledge patients may suffer from many complications due to their malpractice. 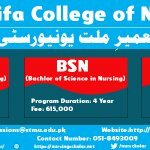 The responsibility of the state: Many institutions in Pakistan are enrolling the male students in the general nursing diploma, generic nursing and other post basic specialties. Governmental organizational body (Pakistan Nursing Council) has recognized these nursing schoolsThese. So when the government and higher education commission has registered these institutes to give admission to the males then this is also the responsibility of the state to generate jobs for them.